Locally sourced meats cooked over open coals, Lovely Bunch Of Coconuts deliver traditional Mauritian food using authentic barbecue techniques and flavours. 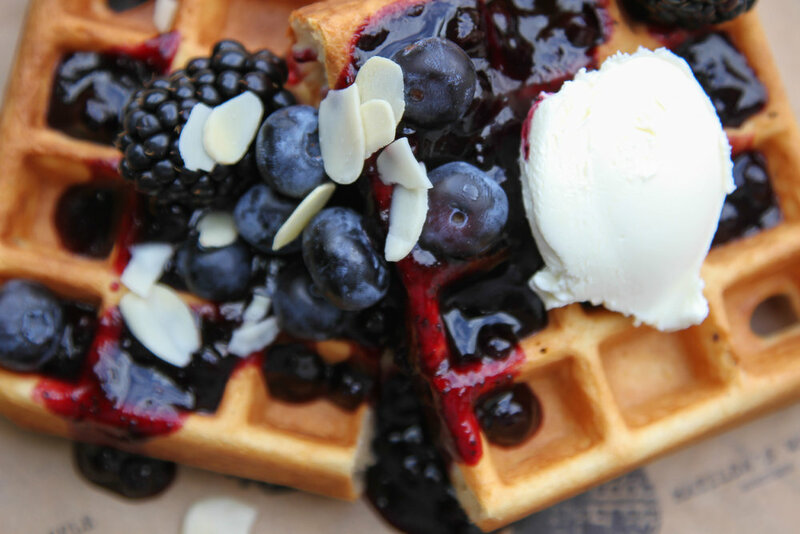 All waffles are made flazseeds, making them delicious and nutritious! Slow cooked for six hours in a mixture of Chinese spices and seasonings, these British pork bao buns are amazing. There is also the option to add a homemade spicy chilli sauce to your order as well as the additions of crushed pork crackling, crispy shallots and fresh red chilies and more! 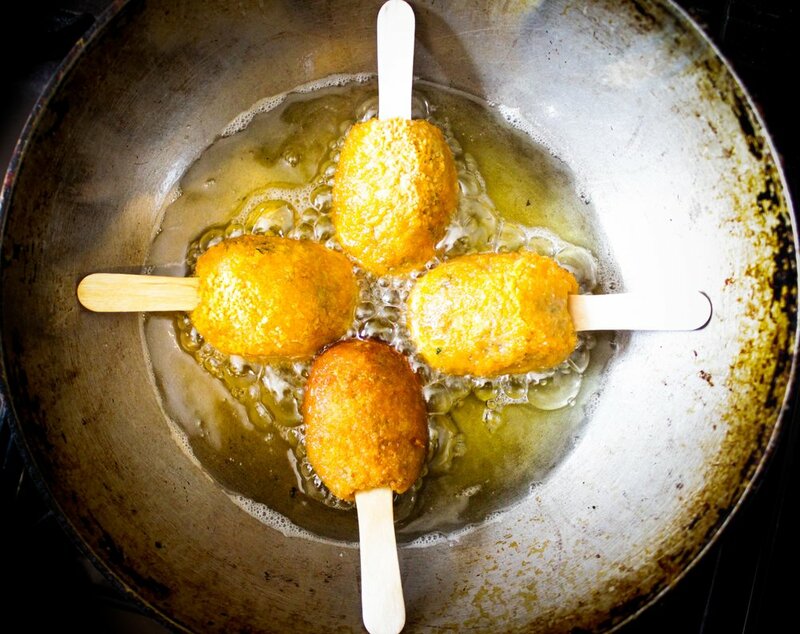 Raastawala serves up the most delectable delights inspired from the streets of Kolkata. Their speciality is the Kolkata Kati Roll! An a-mazingly soft and filling naan bread, layered with an egg (optional), cooked live in front of you on the 'Raastawala super-tawa', with a choice of mouth watering lamb, chicken or chickpeas filling, home made sauces and salads. This can be enjoyed with a Raastwala Mango Lassi and their signature masala fries! 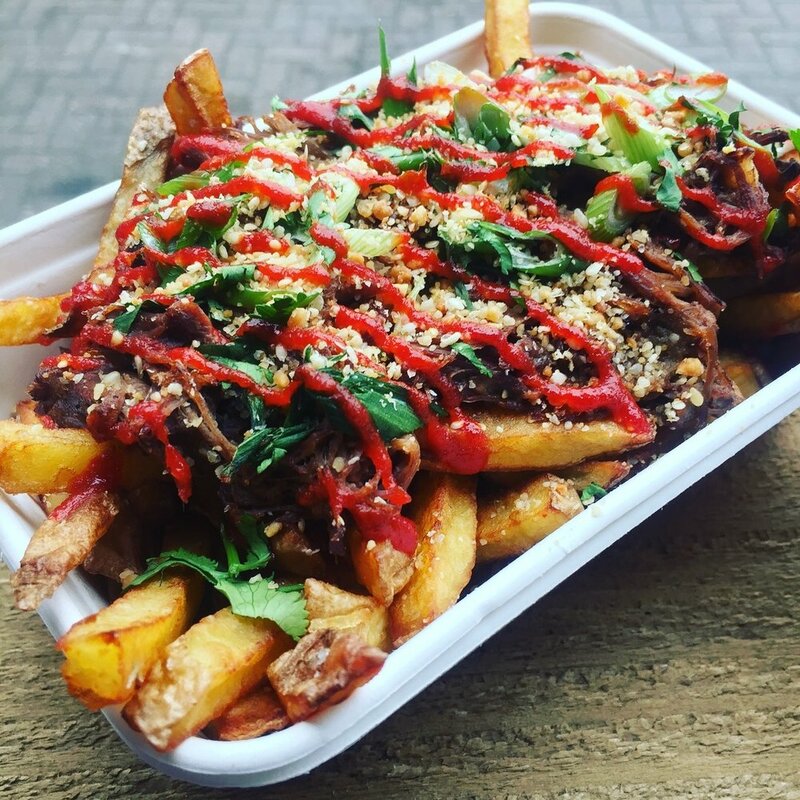 We are also famous for our "dirty fries".....masala fries topped with chick peas , sauces and salads making it a vegans' heaven! 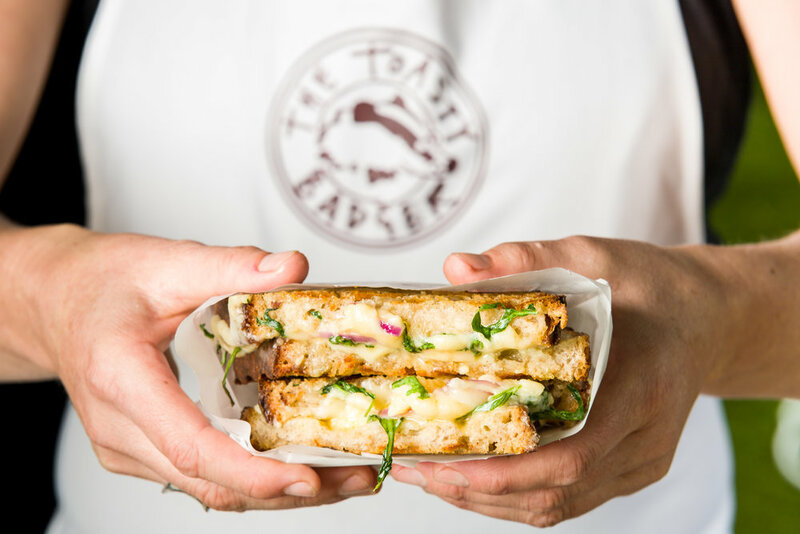 Brand new to the street food scene, Toasty Badger is bringing the best of British ingredients together to create the ultimate toasty! These toasties pair perfectly with a range of 3 very special chutneys. Just two London Chefs who celebrate the humble Spud in everything they do. They created a business to celebrate potatoes and their many uses and varieties. Sourching their potatoes from a local farm in Kent who grow around 12 different varieties, which they try to encorporate as many as they can. Their ethos is to use the freshest and most local produce available. All fries are cut by hand and nothing is ever or will ever be frozen, its a Spud Brother promise. Sub Cult is an award-winning gourmet sandwich retailer based in London. 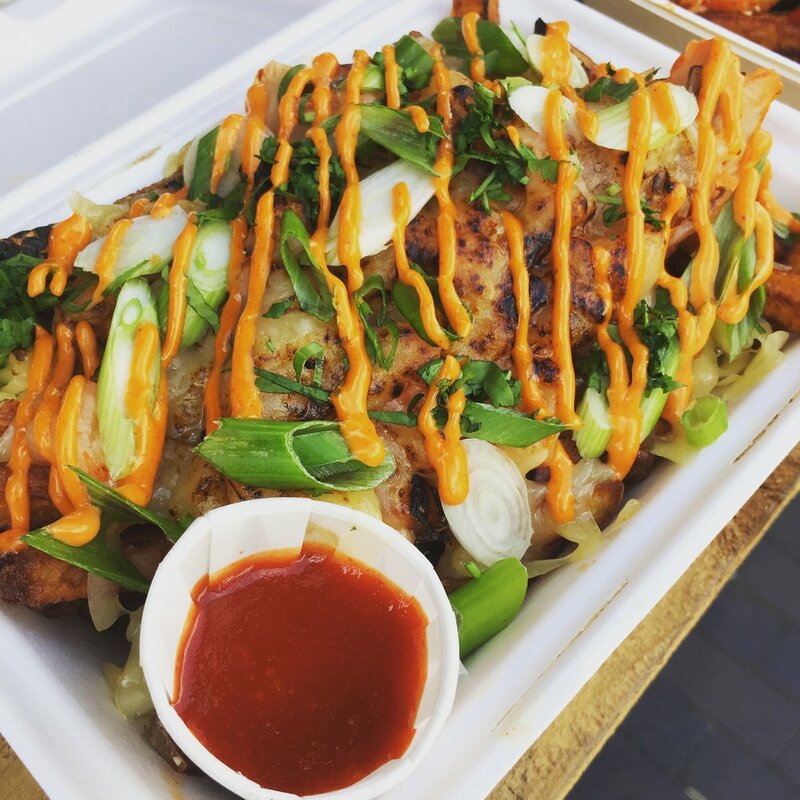 Over the past 3 years, founders Ben and Gaz have topped the streetfood charts with their impressive NY deli-style hot subs and have been dubbed “Sandwich Kings” -Timeout and “Streetfood Heroes” - NME. They have collaborated with Michelin Chefs, gained a loyal following of foodie customers and grabbed the attention of the national press. Sub Cult use high quality and fresh ingredients to create a sandwich you will remember - 100% British pure breed and free range meats, luxury ingredients like truffles and scallops and seasonal veg for veggie and vegan specials. Embracing the UK’s rich history of sub cultures, Sub Cult put the ‘Soul in Your Roll’ with style and clout, served up with a good slice of banter from their old faithful Soul Roller monochrome van. 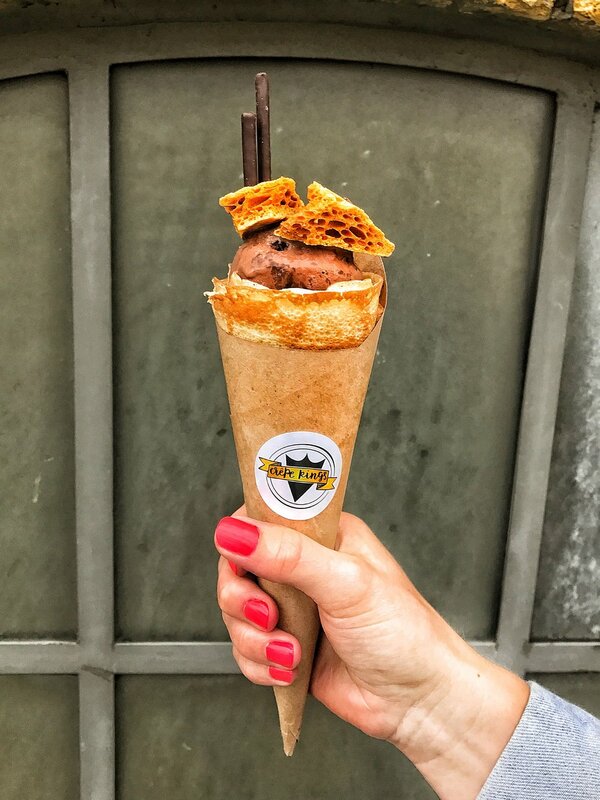 Joe black started Crêpe Kings because he believed he could elevate the humble crêpe, using Japanese influences and Italian Gelato he changed the game. 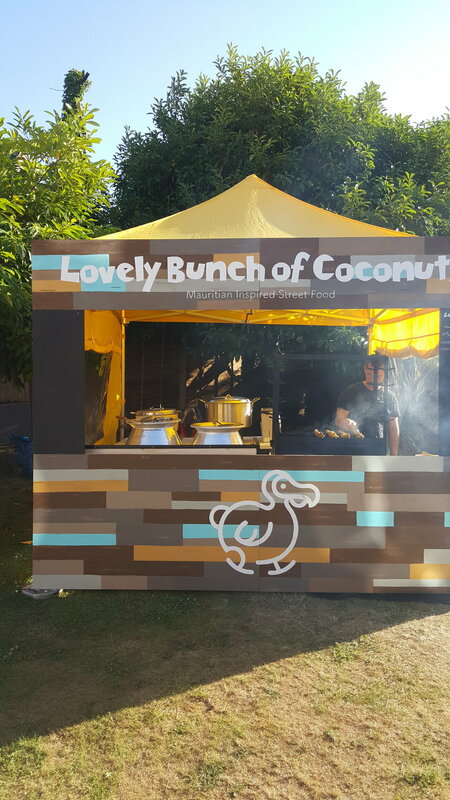 Crêpe Kings are an east London based brand selling Artisan Crêpe Cones using fresh, local and organic where possible ingredients. An East London based travelling bar serving local craft beer. A company dedicated to finding, importing, distributing and celebrating beautiful biodynamic and natural wines from around the world. Started in 2016 by London-based writers and wine dorks Oli Hudson and Sam Rogg, they look for low-intervention wines that reflect the people and places that made them. When you fine them you'll find a diverse range of handcrafted wines. Each bottle comes with its own story, telling the tale of its origins and celebrating the growers, not just for their delicious wines but for the environmental, ethical and holistic choices they've made in creating them. Hank's started four years ago, in Deptford selling their Deep South inspired po'boy sandwich. 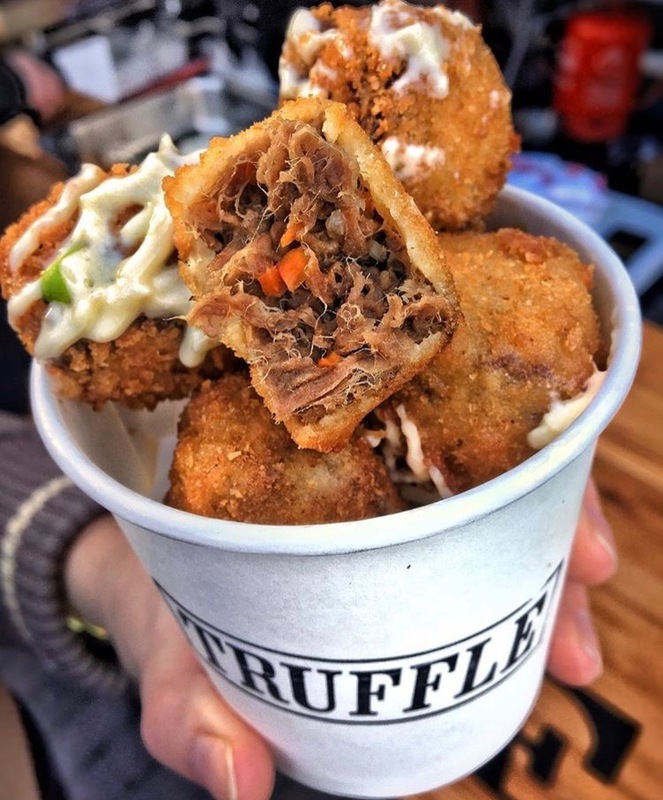 They're now one of the regualrs on London's street food scene. The SE based duo source all their products as locally as possible, from independent London suppliers. Their handmade spices, sauces and sides are all blended and made in their kitche, just a 10 minute walk from Deptford Market Yard. Get fancy at Deptford Bites with a selection of the finest and freshest British oysters, shucked with love by an Oyster Boy expert. 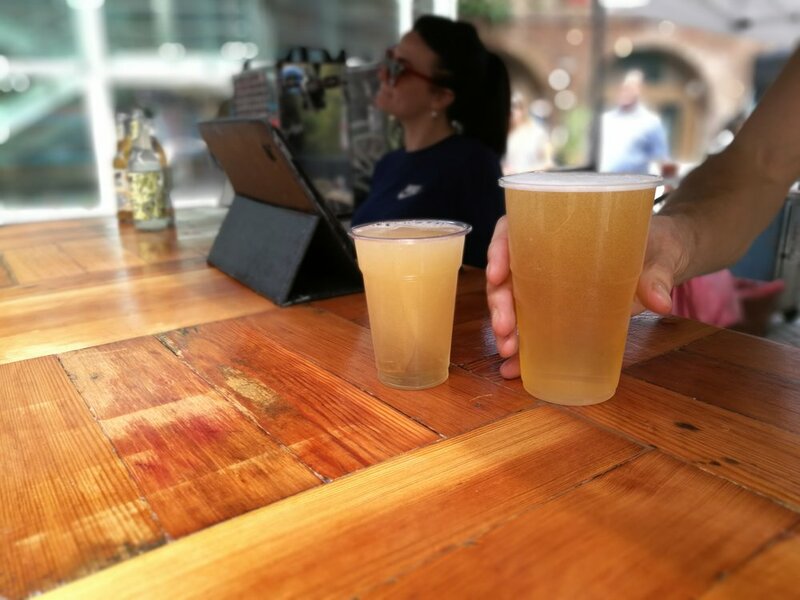 Their made to order Bloody Marys are the perfect accompaniment and are guarenteed to get you back on your feet after one too many on a Friday night. These plant based, dairy free ice creams are set to delight your senses. Their ice cream is handcrafted using a blend of homemade cashew nut milk and coconut milk, with colours and flavours selected from seasonal ingredients to create ice cream with bold, on-point, memorable flavours and a super creamy texture. From Honeycomb and Pinenut to Dark Chocolate & Smoked Salt to Miso Caramel & Pecan to Ceylon Cinnamon & Walnut and many more, you will spoilt for choice.